As mentioned, Disappears are set to release their new LP, Pre Language, on March 1st via Kranky. The band have some upcoming West Coast dates with The Fresh & Onlys and then will hop the pond in late-March for a two-week European run. They’ll return stateside in mid-April, kicking off a spring North American tour with Lotus Plaza (aka Lockett Pundt of Deerhunter) here in their hometown of Chicago at Lincoln Hall on April 13th. 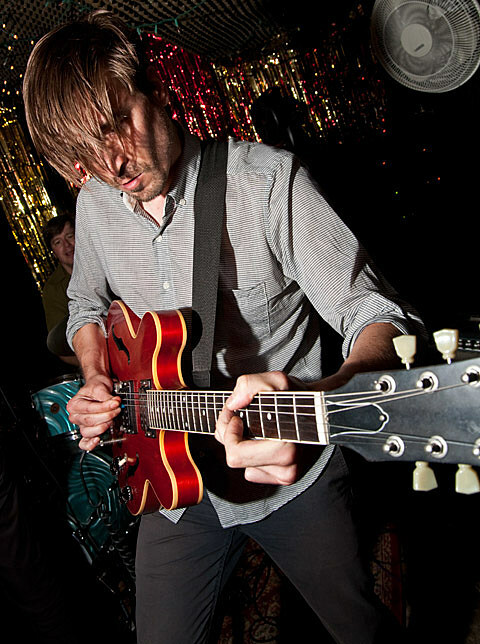 The tour, lasting through the end of April, will bring Disappears to the East Coast and then down to Texas for a performance at Austin Psych Fest 2012 (which Lotus Plaza also plays). Tickets for the Chicago show go on sale tomorrow (1/20), at noon CST. All 2012 tour dates, song streams, and some videos, below..